Meet Jamie. Jamie's a child of God, a wife, mom of three boys and a physiotherapist. She's also one of the most wise and thoughtful women I know. 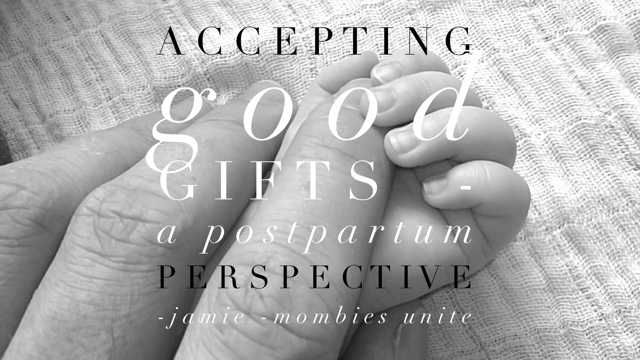 Jamie has had some of the most difficult pre and postnatal experiences I have heard of and her faith, perseverance and kindness through them is nothing short of inspirational. I am so so glad that she agreed to share her words here today! Consider it pure joy my brothers and sisters, whenever you face trials of many kinds, because you know that the testing of your faith produces perseverance. Let perseverance finish its work so that you may be mature and compete, not lacking anything…Blessed is the one who perseveres under trial because, having stood the test, that person will receive the crown of life that the Lord has promised to those who love him…Every good and perfect gift is from above, coming down from the father of heavenly lights who does not change like shifting shadows. These words came to mind this morning as I was trying to only do the stretching component of my Pilates video, with tears streaming down my face because I knew I would not be able to complete any of the exercises that were coming next. I am 9 weeks postpartum. This was my third difficult pregnancy. Each child requiring fertility treatment in order to get pregnant, and then followed by 9 months of constant nausea and frequent vomiting (hyperemesis gravis). During my pregnancies I have been very limited in my activities and even with limited nutrition, I still managed to gain way more weight than the “recommended amount”. Oh and did I mention that birthing 3 large boys does a number on muscles only health professionals know about. Many friends and acquaintances compassionately share how they could not imagine enduring my pregnancies or choose to endure it three times. Don’t get me wrong, those 9 months have been the worst and loneliest months I have suffered, but currently my real soul struggle is in the postpartum period. My struggle is in embracing motherhood, this is the testing of my faith. Has what God has brought to my life been worth the struggle? I don’t mean worth the enlargement of my family but worth the changing of who I am. I feel so shallow, so unworthy of the two perfect gifts building train tracks and a third sleeping in a bouncy chair beside me. I have accepted the long pregnancies and sickness, knowing there was always an end in sight. After all, no one remains pregnant forever. I have even embraced what God has done in my heart to soften it towards others who endure suffering. However, I have not yet considered it pure joy to face the trials and perseverance of the unknown. Will I ever be able to run again like I used to? Will I turn my husband’s head in a bathing suit? Will I be able to humble my children on a basketball court when they are in their teenage years? Will I allow God to change me, to transform my identity into one viewed in terms of eternity? Will I continue to hold onto my own images of healthy, active, fit, attractive, accomplished, has it all together, insert any adjective…mother of three boys? Can I accept the crowns bestowed upon me in this life, take hold of their beauty and take off the rags of my own ideals of beauty? Can I truly see myself as a queen, crowned by Senan, Bennett and Jorren, robed in the glorious garments of stretch marks and heavenly values? Can I not only accept that my children are perfect gifts from above, but so also is every season of life and the trials that accompany them? I know that as I let go of my earthly goals and invite Christ to show me the recesses of my heart, I can fully embrace the things I enjoy without being concerned for their earthly value. I can bask in the company of my children, not worrying about the chores needing to be done or the exercise I should be doing (if the children are occupied). I can exercise without being consumed by an end goal and I can exercise as my body allows, giving it grace for what it has just endured. 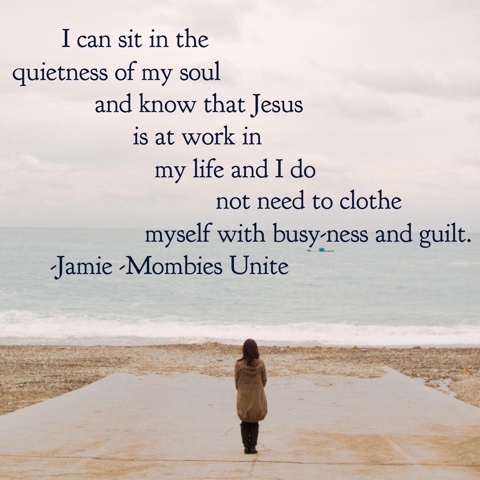 Most of all I can sit in the quietness of my soul and know that Jesus is at work in my life and I do not need to clothe myself with busyness and guilt. Oh, Jesus, please be my constant reminder that you have good gifts for me; that I don’t need to hold onto what I think is good, but that I can experience joy in surrendering these things to you. Jesus, continue to create in me a daughter worthy of a crown in heaven so that I can live a life filled with joy, living in the moment with my kids, not always worrying about tomorrow, accepting your perfect gifts and the hardships and trials that come with them. Lord, allow me to trust you that you are creating in me a beauty that shines through my immaturity. When I pass by a mirror help me to see not my reflection but the beauty in me, created through the experiences of life. May I see me as you see me, rather than holding on to my inadequate, temporal images of fleeting attractiveness. May I not see the beauty that will fade, but rather the one born out of depth of character and trials. May I trust in you to choose that which lasts forever. Thank you Abbie for asking me to write. I am not a writer, but this has forced me to sit and acknowledge what has been tugging on my heart. Acknowledgement is always to first step in allowing Christ to work healing in our hearts. Once again, thank you. Did Jamie's words touch your heart the way they have affected mine? 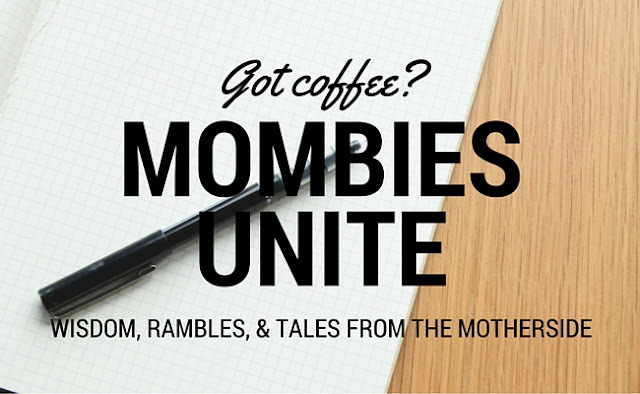 and why not share this perspective with a mama friend?